Brand new high quality Aftermarket blower regulator. 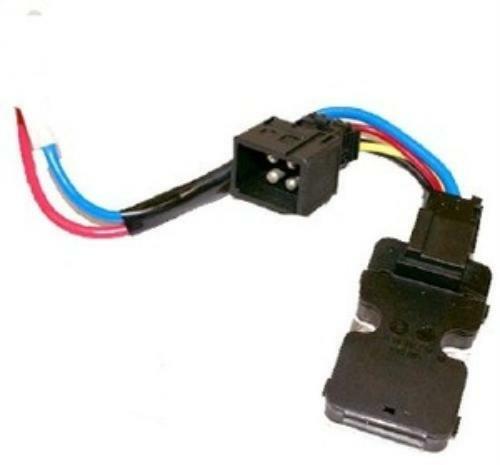 Replaces 0058205010, 1408218351, 1408218451, 011018536, 5HL351321-021 part numbers. A list of models and engine information provided for a reference only. Please verify that you are ordering correct part by checking presented OE manufactures reference codes against the numbers found on your current unit. If you can't locate part number(s) you may call local dealership (auto parts department) provide your vehicle information and obtain correct OE reference numbers for the part suitable for your car. Finally, cross-check obtained numbers against those indicated in the description or contact us and we will be happy to assist you. Please check compatibility prior to purchasing. If you are not able to locate part numbers, you may call local dealership (auto parts department), provide your vehicle information and obtain correct part number(s). Feel free to contact us should you have any questions.